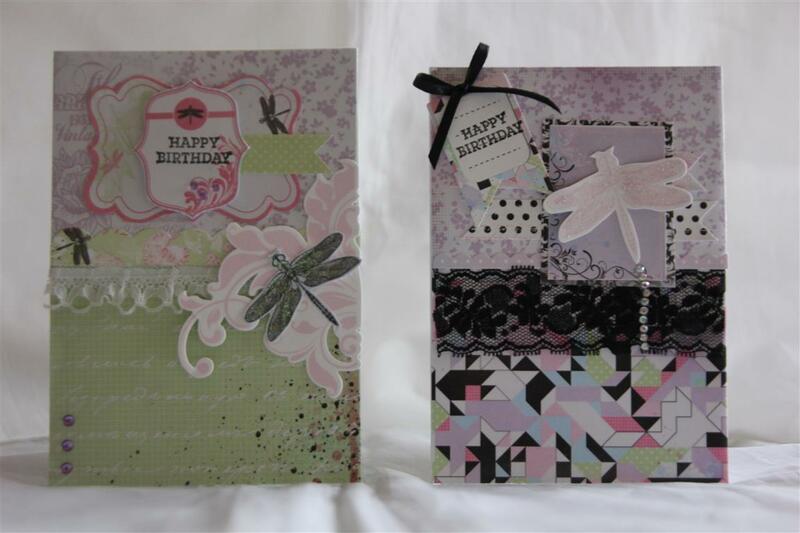 10 speedy cards – the last 2! 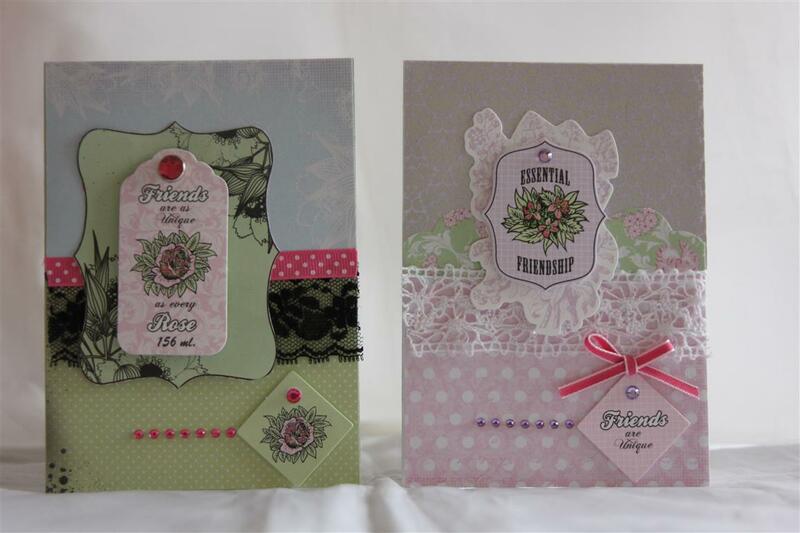 Here are the last 2 cards in the speedy cards series using Kaisercraft Lavender haze 6′ pad and collectables, as well as bits of ribbon and lace. the measurements for these cards are on the previous post. tomorrow something new! til tomorrow…. 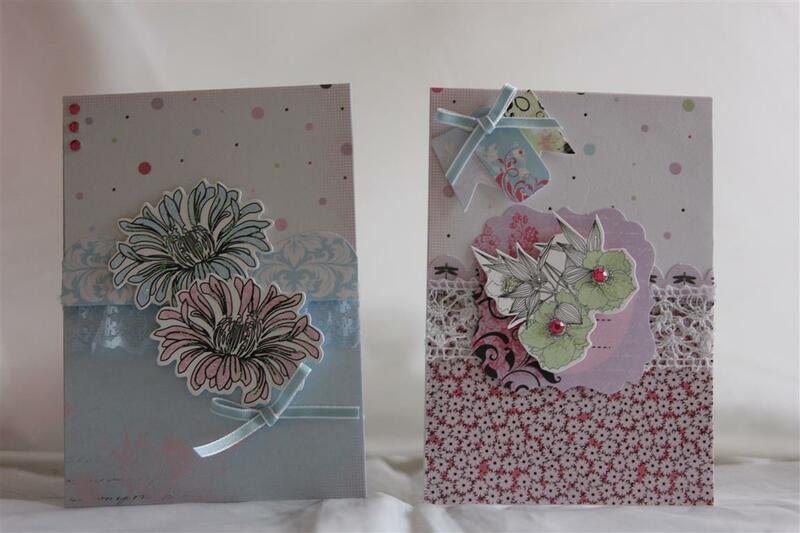 Here are another 4 cards in my speedy cards series – using just Kaisercraft 6″ pad and collectables, and small amounts of ribbon and lace. tomorrow I will post the final two in this series!Instructions for these ones are on the previous post. Til tomorrow…..
Something a bit different for the next couple of days. I have done this series which I am calling 10 speedy cards. 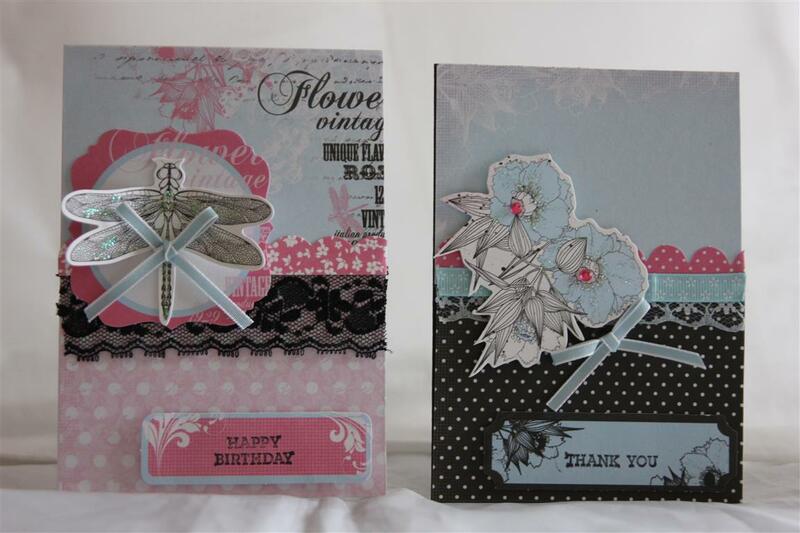 I used a 6″ pad ( kaisercraft lavender haze,) and a packet of matching collectables and made 10 cards using the same sketch design.The only other embellishments required are some ribbon and lace and you can make these in one sitting in just an hour or two!Here is the recipe …. take 10 sheets from the 6″ pad, and cut each of them into 2 pieces measuring 10.5 cms across, and 7.5 cms down. That gives you 20 pieces. match up top and bottoms and stick them on to your card front. 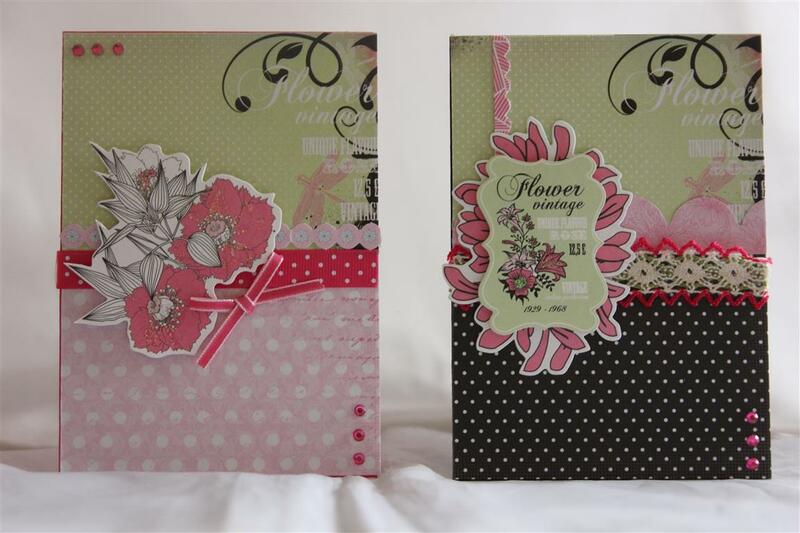 ( the size of card is 10.5 cm across, and 15 cms down)0r an a5 piece of cardstock folded in half…then using ribbon or lace cover the join. you can also use the border strips that come in the collectables pack and the back of the pad as I have done .Then it is just a matter of affixing the assorted collectables ( and some of the labels from the pad) onto the card with foam pads to finish. I also added some bling cos that’s just what I do! Tomorrow I will put up some more of the 10 cards. Til tomorrow…..